CSGO2ASIA: Hey advent, thanks for taking the time to talk with us today. So, let’s get right into it. You’ve been on and off as a player over the past 2 years. What was the main reason you decided to come back as a player for this line-up? advent: So when I wasn’t playing, I treated it as a sort of break for myself. The reason why I came back to play with this line-up is that I think both the organization and the players themselves had the confidence and trust in me to be a player again, especially as an IGL. During my time as a coach, I think my confidence as a player wasn’t there, which is why I decided to try being a coach. CSGO2ASIA: Ok, got it. But your decision to be a player, has it got anything to do with the urge to play again, that being a coach wasn’t really fulfilling you? advent: Yes, for sure. I think when I wasn’t confident as a player then it made sense not to play, my personal performance just wasn’t good enough and I think my teammates couldn’t rely on me. I took time off playing to figure out what I am good and bad at, and I started to feel that my skill was getting better and my ability to IGL was too, so now that I have the confidence again so do my teammates. CSGO2ASIA: Cool, that makes sense. You are not the only player who has gone back and forth as a coach and player in China. Players like Karsa and tb have also done so only to return as players. Is this an oongoing issue in the Chinese scene, to find a full-time coach, or is it more that you feel like there are not enough players able to sstep upand take the role of an IGL? advent: Yes, to find a good in-game leader in China is seriously difficult, and that makes it even more difficult to find a good coach. I can basically say it’s impossible to find a full-time Chinese coach today, and that is the main difficulty. CSGO2ASIA: So would you say that is the reason why all these players who try out being coach inevitably come back to play? advent: Yes, I mean, we have also tried to use a foreign coach, but the obvious problem is communication. It just doesn’t make sense for us, as the communication takes a lot of time and energy so it’s really inefficient. Also, when we do look for capable Chinese coaches, the only real candidates are some of the old 1.6 players, but to be honest, they don’t really have the interest to be coaches in CS:GO. CSGO2ASIA: The current state of Chinese CS is really up for debate. From the outside, many people feel there is no clear 2nd best team in China at the moment after TYLOO. Would you agree or disagree, and would you care to comment on this? advent: I don’t know, I don’t agree. I think if you look at it objectively, from all the way back of both teams CS:GO history, I would say that we are the clear number two team, there is no doubt about that. CSGO2ASIA: Alright! Do you think that the way forward is for Chinese teams to go the way of 5POWER and TYLOO and even ViCi, by bringing in talent from outside of China? advent: Well, I don’t really think bringing in foreign players is the best idea. I say this because I believe that in order for Chinese teams to actually improve, their communication needs to improve, and that is one of the biggest issues of bringing in foreign players. That being said, I do think it can work, because it has worked. For example, with kaze, while his Chinese isn’t that great, we really are seeing an improvement, and that is helping our communication overall. It still needs work, but I would say that if a team is to bring in a foreign player then really the question is more about their ability to communicate then just raw skill. CSGO2ASIA: Ok, interesting take. In your opinion, how has the impact of CS:GO going free-to-play in China with Perfect World been? Do you think it has improved the scene or are games like PUBG stealing the spotlight from CS:GO? advent: Well, I think Perfect World has done a good job of promoting CS:GO, but there’s more they can do. From our perspective as professional players, and professional organizations, I would like to see them do more Season based tournaments like ECS or ESL Pro League, long-term leagues that actually give the professional teams more chances to play. CSGO2ASIA: Ok, yeah, not just stand alone tournaments. Anyway, let’s talk more about this tournament. We know you had a boot camp before coming to Poland, what was your main focus during this 3-week boot camp? advent: Well, actually, the boot camp didn’t go well at all. First of all, all our players got sick at different times, so the whole time we weren’t playing at our 100% best. Secondly, for me personally, it was really tiring. I think to have a good boot camp we really needed a coach, and we couldn’t find one in time. I was doing the job of a coach and an IGL, and I didn’t feel like I was able to give my best performance as a player during our practice, this was really tough. I really didn’t go as we planned, haha. CSGO2ASIA: Yeah, that’s rough. Many people expected you to take the first game against GOSU, but they really showed up that game. Also, in today’s decider, they really put you to the test taking the second map to overtime. 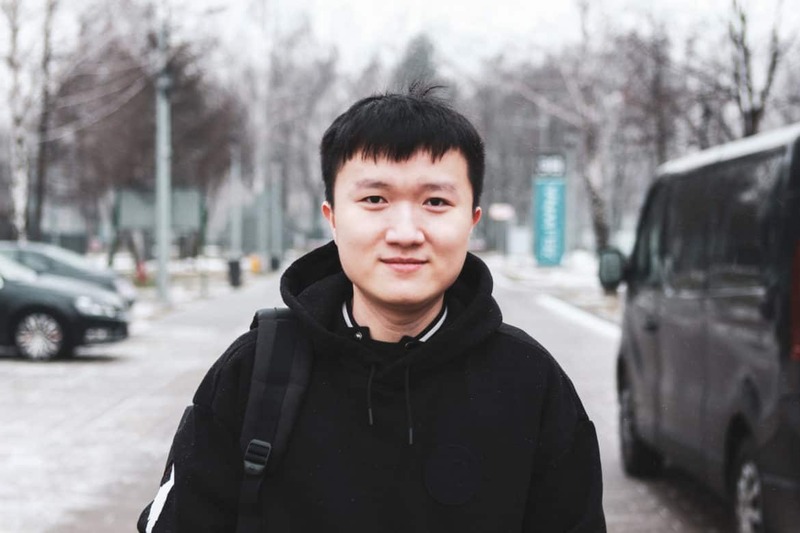 From your point of view, do you think GOSU is a team that has improved a lot or was it more of ViCi not really playing their best, or both? advent: Well, one thing is for sure, I think the rest of my team would agree that GOSU has really really improved. This tournament, we really felt it. The hard work they put in really showed, everything from their anti-strats to their individual performance was really strong. I think in our opening game, maybe we underestimated them. Also, we were trying some of the things we did in practice and they just weren’t working. So for today, what we did was basically just switch back to our old style of play and just do our best, and that seemed to work. CSGO2ASIA: Finally, what are your goals for the rest of the tournament and for the rest of 2019? advent: My goal is to get the stickers. We really want to qualify for the major, of course. As for 2019, I haven’t really thought that far, but I’d just like to see that the team is really putting the maximum effort in everything they do. CSGO2ASIA: Awesome. Well, good luck, and thank you for your time!